US: Photos of a smiling but visibly altered Gabrielle Giffords have been posted on her Facebook page, the first images of the US congresswoman released since she was shot in the head in January. Two photos of Gabrielle Giffords since she was shot through the head were posted on the congresswoman’s Facebook page. 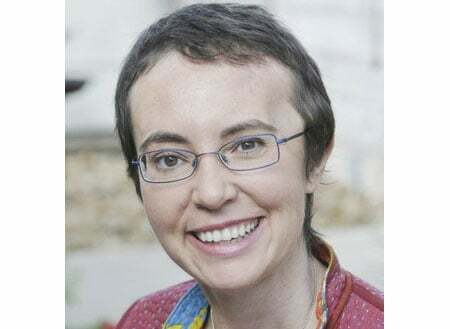 With flecks of gray visible in her now closely-cropped dark hair and wearing wire-rimmed glasses, Giffords smiles broadly in one of the two pictures, dated May 17. A second photograph shows her, still beaming, seated next to her mother Gloria Giffords. Both pictures, released by Mrs Giffords’s congressional campaign, were taken the day before the Arizona representative underwent surgery to replace part of her skull. No post-surgery pictures of her have been released. Her official congressional portrait taken before the shooting shows a smiling Mrs Giffords with chin-length blonde-streaked hair standing before the pillars of the US Congress building. The photos were intended to show the world how far Mrs Giffords has come since a gunman shot her through the brain from point-blank range on January 8 outside a supermarket near Tucson, Arizona, where she was meeting constituents. “These photos reveal an upbeat image of Gabrielle Giffords,” her spokeswoman CJ Karamargin said. The interview did not reveal the state of Mrs Giffords’ cognitive functioning nor did it give any indication as to whether or when the thrice-elected US lawmaker might be able to return to her job on Capitol Hill. But her chief of staff, Pia Carusone, told the Arizona Republic last week that although Mrs Giffords seems to understand what is said to her, she still has trouble speaking in complete sentences and expressing complex ideas. Six people, including a federal judge and a nine-year-old girl, were killed and 12 others wounded in the shooting spree, which shocked America and made headlines around the world. In March, the alleged shooter, Jared Loughner, was declared mentally unfit to stand trial. Experts found the 22-year-old to be schizophrenic and unable to help in his own defence or understand court proceedings. US media reports on Sunday said Mrs Giffords would soon leave the Houston hospital where she has been receiving rehabilitation treatment. The reports said she would continue to receive outpatient therapy at home.